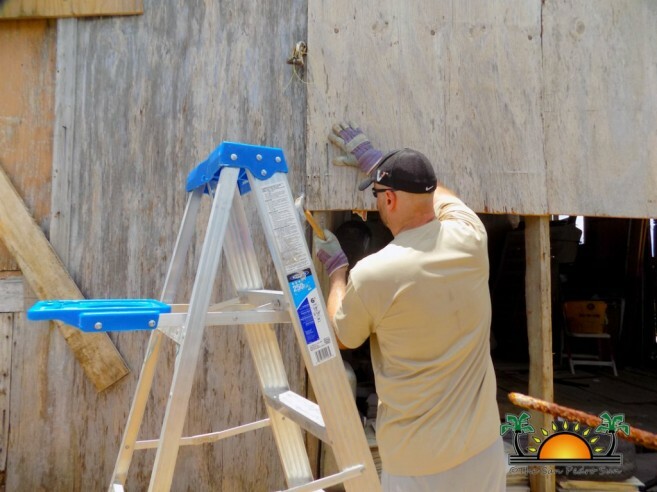 Thanks to the commitment of the San Pedro Lions Club Vice-President Brittney O’Daniel, relief efforts have been geared at rebuilding homes that were completely or partially destroyed by Hurricane Earl, especially in the San Mateo area. 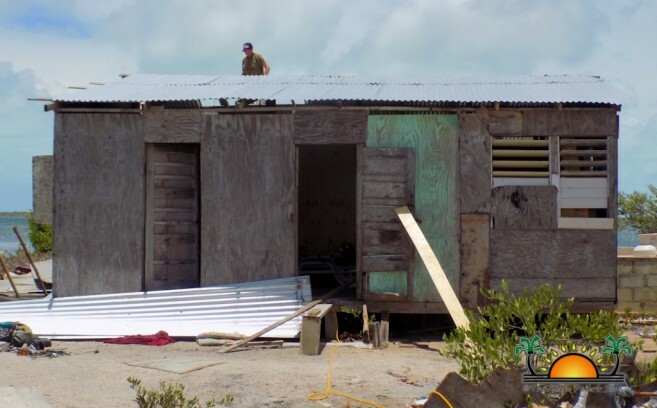 With a goal budget of $20,000, O’Daniel is asking for monetary donations to help purchase materials such as plywood, zinc, lumber and nails needed to repair the homes. 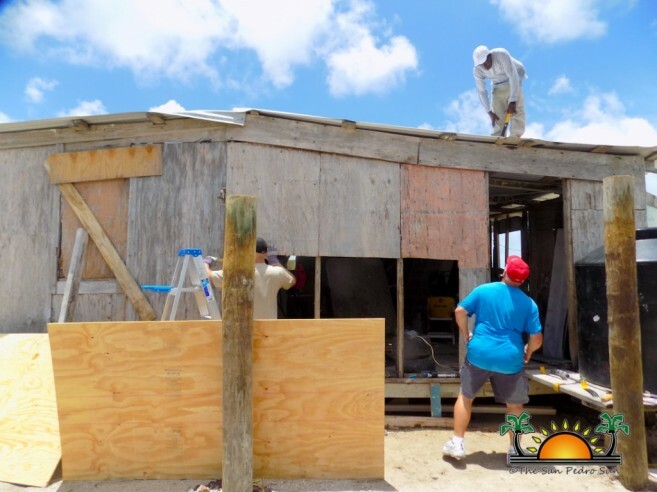 The building project is being led by co-owner of The Sandbar Beachfront Hostel and Restaurant, David Jenkins, and a crew of volunteers lending their hands to help. 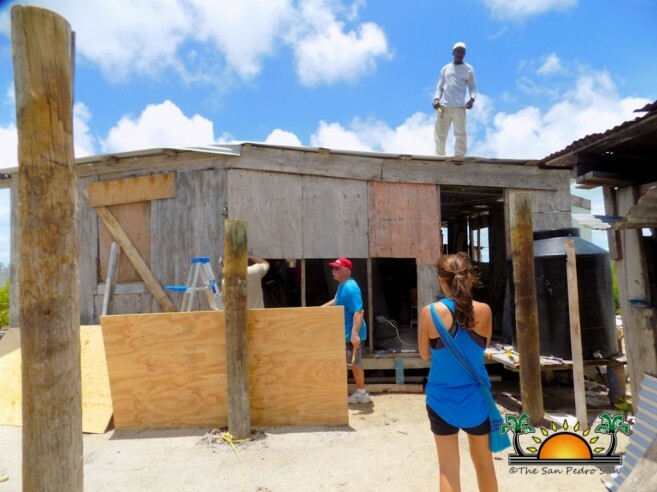 The first phase of construction took place on Saturday, August 13th, where volunteers dedicated their time and labor to rebuilding. 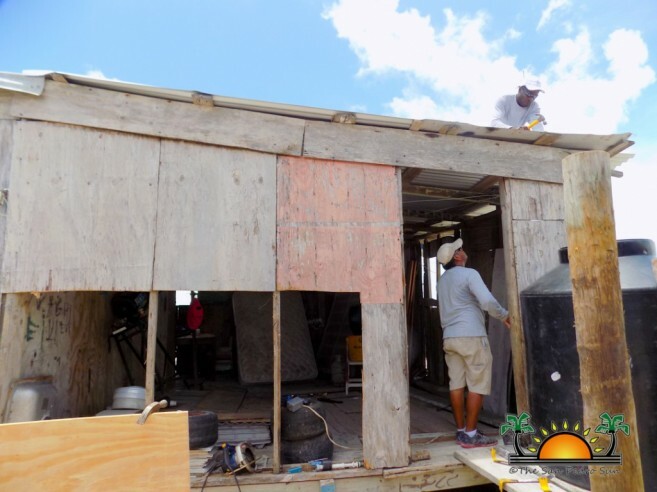 Although homes in San Mateo are built on top of mangroves, volunteers still managed to overcome the challenges of the stagnant water and limited electricity. The National Emergency Management Organization assessed each property that asked for assistance, and the team will be building houses measuring 16 by 20 feet or 16 by 24 feet. After inspections, materials that were able to be salvaged were sorted, the rest will be used as landfill. According to Jenkins, there are about 53 homes in San Mateo that either need to be renovated or rebuilt. “We are putting on roofs, preparing walls, and so forth. We also received materials from Benny’s, and we will issue it out to families who are capable of repairing their own homes. Since there are a couple of homes that were completely destroyed, we will hire a skilled crew by next week to help rebuild their full houses,” said Jenkins. Jenkins also discussed an effective goal he wishes to accomplish by the end of the project. 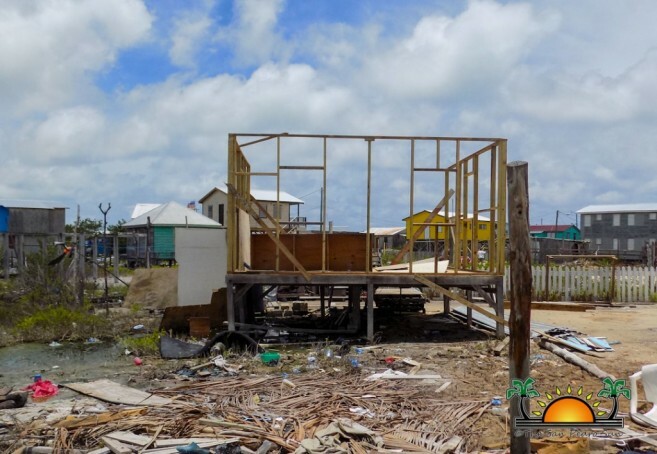 “It would be handy if Ambergris Caye had their own disaster response team. For instance, through donations, we can acquire all the tools and equipment we need, and the crew will be properly trained to respond to the situation. It would be really nice to have 15-20 members we could fully train into skilled laborers, and in case of emergencies or disasters, this team is available,” explained Jenkins. The building project in San Mateo is expected to be completed within a month, and construction will then commence in the DFC and San Juan sub-divisions. This project would not be possible without the help of the following donors: Truck Stop, Casa Picasso, Mahogany Bay, Caribbean Homes, Ms. Patsy of Tres Cocos, Steve Jacobson, one anonymous donor, various donors from the United States, Atlantic Bank, Crazy Canucks, and Nook Restaurant and Cocktail Bartique. Donations are still being accepted, and if you wish to donate, you may write out a check to Raise Me Up. Raise Me Up is a non-governmental organization that also runs the San Pedro Food Bank, Literacy Program, and the San Pedro Kids Club. In light of Hurricane Earl, many organizations and individuals have stepped forward to provide assistance. On Wednesday, August 10th, the European Union (EU) announced their pledge to give Belize $50,000 EURO (just a little over $55,000 US). This humanitarian funding will aid the most affected populations who had their homes damaged and are currently without water or electricity, in areas currently affected by flash floods. On behalf of the Embassy of the Republic of China (Taiwan) in Belize City, Ambassador Benjamin Ho also showed their support, and presented the Government of Belize with a check on Friday, August 12th. The check is valued at US$100,000, and will be used to assist with relief efforts in the aftermath of Hurricane Earl. On Monday, August 15th, a representative from Atlantic Bank Limited visited the San Pedro Town Council, and delivered a check of $10,000BZ towards hurricane relief efforts.